Margery Irvine has retired from full-time teaching, but she still teaches one section of ENG 309 every fall. She loves the class and the students–and the writing they do. Margery Irvine has lived in Maine for almost 50 years; she has taught at the University, written newspaper columns and reviews, and continues to serve as a Scholar/Facilitator for the Maine Humanities Council. She lives in Brooklin with her husband, the artist William Irvine, and their Shetland Sheepdog, Tam. Margery Irvine’s areas of expertise include Composition and Creative Writing, and the Literature of Maine. 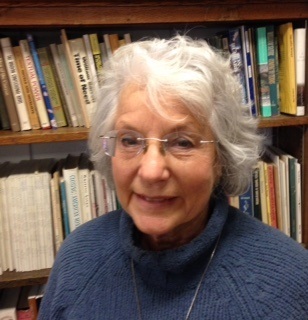 Margery Irvine has edited several books and published a number of articles, including a weekly column for the Ellsworth American (1996-1997) and Weekly Radio Essays for Maine Public Broadcasting (1987-1995).